They are back with a new offer where you will get Rs.25 Free Wallet Cash on Referring Friends. You will get Rs.1000 OYO Money on Sign Up Using My Link. This is for limited time offer only ends Today. Start referring and start earning money! 2} Open app and Allow Permissions. 3} Enter Your Mobile Number and Verify it with upcoming OTP. 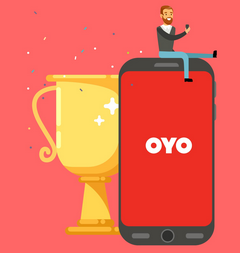  Register on Oyo app using paytm Number. 5} Move to Dashboard and Click on Invite & Earn Tab and share your Refer Code / Refer Link with friends and let them join.